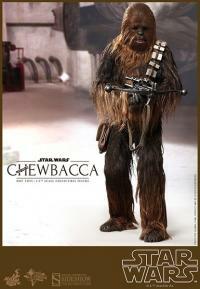 After purchasing Han Solo, I just HAD to buy his furry sidekick, Chewbacca. He is a tall, imposing figure, and I was very impressed how well his fur came out. A wonderful addition to my growing "Star Wars" collection. 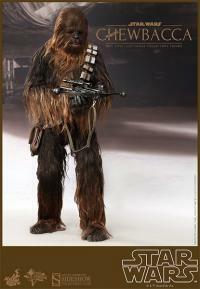 Just got my Hot Toys Chewie and he's really great. His fur lays down nicely and is quite movie accurate. You can't go wrong with this piece. Awesome figure. The detail with the hair is cool. LOL comes with a comb. Goes excellent with my Sideshow Bespin Han Solo. 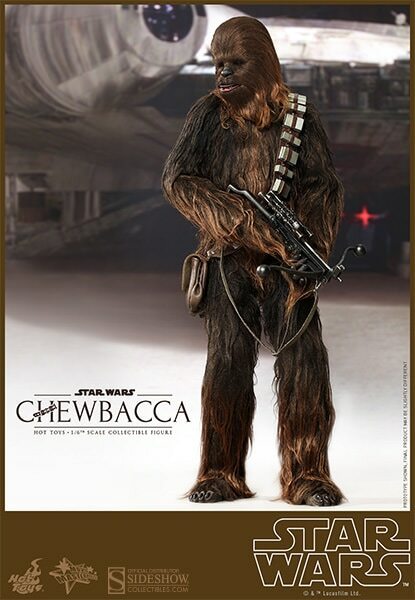 Just received Chewbacca and it looks great. Can't believe how realistic it looks. Also looks great next to the Han Solo figure. Can't wait for the older versions of Han and Chewie. I just received Chewbacca yesterday. It looks Amazing !!! I am so glad to jave purchased him. A Must Have !!! 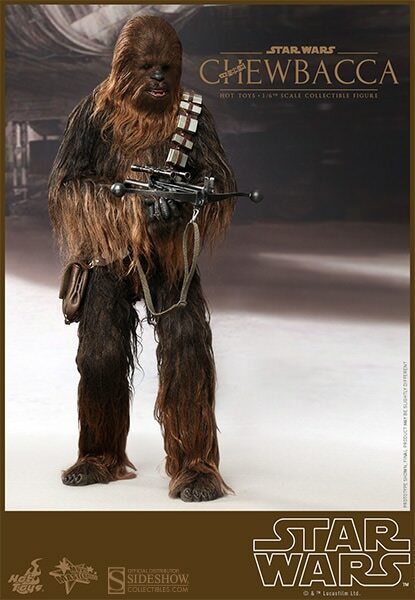 A very fun cool figure and Finally real Wookie hair.Very easy to pose and the Han Solo release is perfect set for a Amazing display. 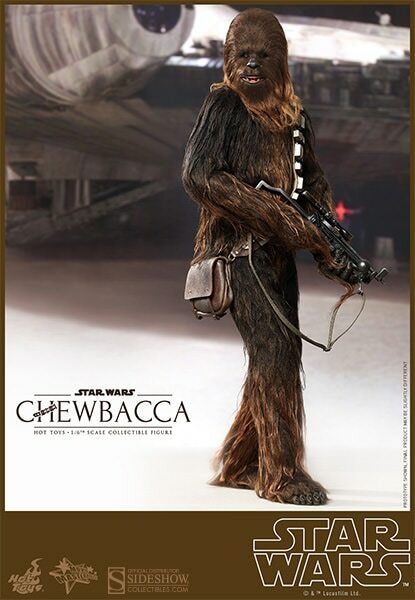 Thank you sideshow & Hot Toys. They will display perfect in my carbonite cabinet. Got Chewy yesterday and really like how he turned out. I bet it was difficult to pull off but the efforts turned out great. Thanks for adding his little comb and smoothing tool that helps alot. I've got the Hot Toys Chewbacca yesterday. 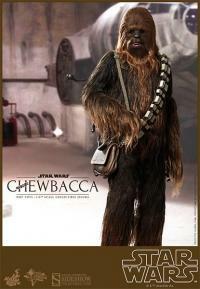 This Chewbacca with fur is the best I've ever seen! A comb comes with this master piece. The figure is of maximum similarity to the films and the strands of hair are like these of a real being. You'll easy fall in love with him! Buy him immediately!